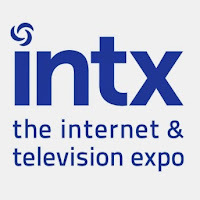 In Chicago, from May 5 -7, the Internet & Television Expo (INTX) was held. Formerly known as the National Cable and Telecommunications Association (NCTA) Cable Show, the event was expanded this year to include more digital and online service providers as the TV landscape continually evolves. Over the course of the week, various topics and themes were discussed by industry experts, thought leaders, panels and others. A hackathon occurred, too. Several issues quickly came to the fore. During a panel on personalized television, the future of television guides and navigational platforms was examined. “As much time and effort and technology invested in these slick, slick guides, at the end of the day we see consumers go back and look at the grid guide, if you can believe it or not,” said Colleen Langner, SVP of marketing at Cox Communications. As a part of that, assisting viewers with locating interesting content is key. “Oftentimes you have one shot with the consumer — if you shoot and you miss, getting them back engaged into recommendations is difficult,” Langner added. On the heels of a new poll from Reuters/Ipsos that revealed 77 percent of Americans would prefer to pick-and-choose their own channels in an “a la carte pricing” model, discussion arose on viewers who are abandoning cable and cutting the cord, mainly due to cost. Companies are attempting to attract and maintain these customers. "Cable has got to recognize that there are broadband-only subscribers," said Tom Rogers, President and CEO of TiVo. "It has to come up with some way of relating to them with [a video product]." Federal Communications Commission Chairman Tom Wheeler boldly entered the belly of the beast, and informed the assembled CEOs that additional competition “would be better.” The crowd’s reaction was not exactly positive. When it comes to powering guides, TV interfaces and recommendation engines, FYI Television's enriched metadata can help. Learn more, by clicking below.